Goalkeeper Eric Ofori Antwi grabbed man-of-the match in the side’s 1-1 draw against Hearts of Oak to end the first half of the season. 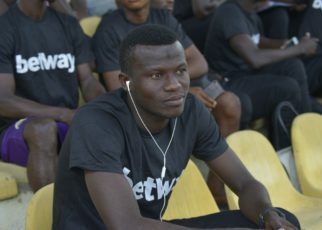 Antwi, who is enjoying his best form in the Ghanaian top-flight since joining the Mauve and Yellows pulled up several world class saves to keep his side in the game. 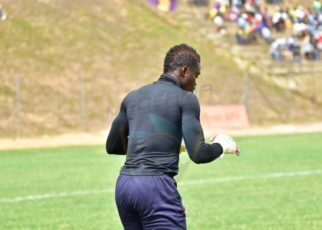 The former Kotoko and Amidaus Professionals glovesman was the toast of fans with his sublime piece of goalkeeping in post. He rescued the team on several occasions especially in the first half with timely interventions. Hearts striker Aboubacar Troare broke the deadlock in the 37th minute after capitalizing on a defence howler. However, substitute Tahiru Awudu broke the hearts of the Phobians with a last gasp equalizer in injury time to ensure they maintain their top position on the league table to end the first round.